From 55 years ago, before the home-builder revolution. Perfectly at home on wheels, skies or floats. Less than 350 lbs empty weight, a micro plane at its best! Powered by a 30 hp VW car engine or a Porsche — really. This looks very much like the French Druine D.31 Turbulent. Machines had various engines, including VW, Porsche and others. 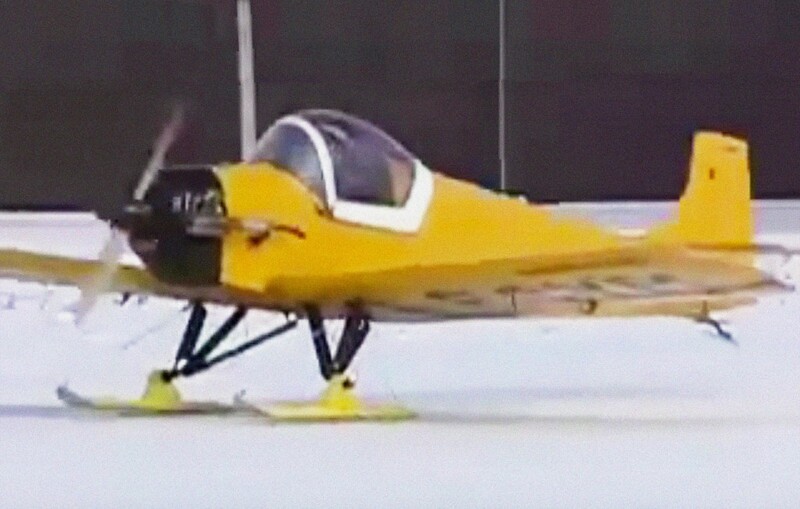 It has quite a bit of the look of a Mooney Mite, but with a modified canopy… and skis instead of wheels, of course.